Founded by Dominic Wells in 2013, Human Proof Designs quickly grew to become the industry leading provider for done-for-you Amazon affiliate websites. Dom and his team built over 500 successful niche websites in 2016 alone and he’s recently been published on sites like Entrepreneur.com and NichePersuits. Anyone starting out in this industry knows there’s a ton of misinformation out there and a lot of hurdles to overcome. Dom was quick to spot a gap in the market. Human Proof Designs is all about making the road to online success a little smoother. So let’s hand it over to Dom and find out more about who man behind the vision. 1. I read somewhere that a year or so ago you smashed the $10,000 per month mark, but you weren’t always this successful. Can you tell us a little bit about how you got started and what motivated you to get you to where you are today? I don’t think anyone is successful until they’re successful haha! I started out in affiliate marketing in 2012 and like most people, struggled at first until eventually starting to earn a bit of money from my niche site. After about a year I was still only making $500 per month, but that was enough for me to see that this thing was real. Once I had started making good progress and had learned what works, it was quite fast to scale up to $1,000 per month and beyond. 2. What is Human Proof Designs and what do you do? I started Human Proof Designs in 2013 after seeing many people buying junk “starter” websites off of Flippa over and over again. I couldn’t believe how people wanted to get started but were just buying this garbage and not knowing any better. I decided that I should offer them something better, and so I founded HPD to do “done for you websites” the right way. We research real niches with an actual probability of making money, we then build websites for our customers in those niches, and add unique content to the sites. Each site is a unique, quality way of getting started. The idea is that we give people a foundation to get started in affiliate marketing, and we then teach them how to take the next steps. Since 2013, we’ve also added in other services. We do article writing, link building, training, and have built a thriving community. 3. There are a lot of dodgy ‘cookie-cutter’ website sellers out there, what makes Human Proof Designs’ websites different from the other website selling websites? I guess I covered this a bit already, but let’s dig deeper. Most cookie-cutter websites use the same content, or “spun” content, and build the same site over and over again. They use false promises and claims of over-night success and millions of monthly visitors and dollars. What we do is completely different. At Human Proof Designs we’re very realistic about the work involved in succeeding with affiliate marketing, we don’t make ludicrous promises, and we make sure every site we build is unique. We’ve got over 100 freelancers writing content for us and our customers. We don’t just regurgitate the same niches over and over again. We also make sure we give you the necessary training needed to succeed, because no matter how good your site is, you need to know how to use it. 4. A lot of people reading this are complete beginners to affiliate marketing and looking for the best way to start making money online. What are the pros and cons of building your own website vs. hiring the HPD team to do it for me? The pros of building your own website are that you learn every step and learn to be more self sufficient. However, the cons are that you can get incredibly frustrated, and you WILL end up with a terrible website the first few times you do it. It took me a lot of attempts to learn how to build a website right. Sometimes people come to me with their site and ask why they aren’t making money, and the answer is “Your website isn’t even built right, it’s got broken code, the images are stretched..” and so on. So the pros of using us are that we already know how to build successful sites. We know what themes work, we know how to configure plugins, and we know how to use keywords. We know how to write articles that convert into sales, and we know how to use social media. What I’m saying is, your feedback loop is vastly shortened, because we’re showing you what works. 5. Each done-for-you affiliate website you create comes with potential earnings. How do you calculate potential earnings and why don’t you keep all the websites (and profits) for yourself? We calculate the potential earnings using industry averages for things like click through rates, and then look at the average price of a product, the average commission %, and the expected traffic volumes. It’s all data driven, though there are a lot of estimates involved. Why don’t we keep them for ourselves? Because there are so many niches out there, and so many people who want us to build sites for them. I don’t have the ability to manage hundreds of sites in my own portfolio. Building them is easy for us to do at scale, but they’ll succeed a lot more if individuals are owning them rather than us. Remember, we don’t just build sites and they automatically make money, there’s work involved. 6. If you could choose just one, what would be your favourite customer success story so far? Rob struggled a lot at the beginning, and nothing personal to him, he was quite frustrated and vocal about those frustrations. It looked like he might be another person to throw in the towel early. 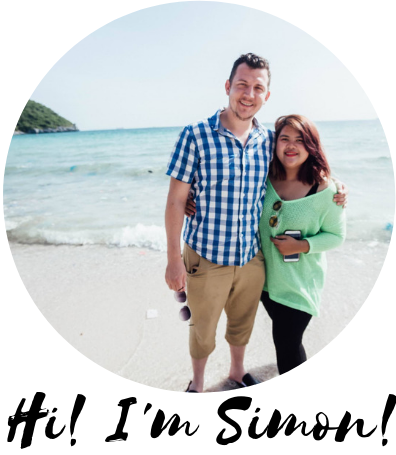 He didn’t quit though, he kept at it, pushed through his frustrations, and is now a prominent member of the HPD community, and a successful affiliate marketer. It’s a great example of what anyone can do. 7. 95% of aspiring affiliate marketers quit before ever seeing results. In your opinion, what’s the biggest determining factor of online success? Just like Rob, you have to keep going and push through your frustrations and keep learning and growing. I’m not saying bang your head against the wall until it cracks, but never stop looking for the door to the other side. 8. What’s next for Dominic Wells and Human Proof Designs? We always have new things in the works, some of which I won’t reveal here. However, what we want to do over the next few years is help even more people to become like Rob, and to become the number 1 resource for Amazon affiliate site success. A shortcut to online success? I think one of the main reasons Human Proof Designs has become so quickly in such a short space of time is because Dom saw a gap in the market with people buying overpriced, duplicate sites and decided to step in, do something about it and be the best in the industry. One thing worth stressing here is that, as Dom said, buying a ready-made website does not mean you’ll make money on autopilot. When you buy an affiliate website, you’re buying an online business and placing your order is just the start of the journey. Dom focuses a lot on the after-sale support side; giving you comprehensive training, support and one-on-one mentorship, because while buying a website is a faster route to making money online than starting from scratch yourself, there are still skills you’ll need to learn. If you have the money and are looking to buy a niche website, I definitely rate HPD as the best option. If you want to find out more check out my full Human Proof Designs review here. Do you have any questions about Human Proof Designs or the process of making money through affiliate websites? Ask away below and I’ll be more than happy to help you out.